It’s that time of the year! 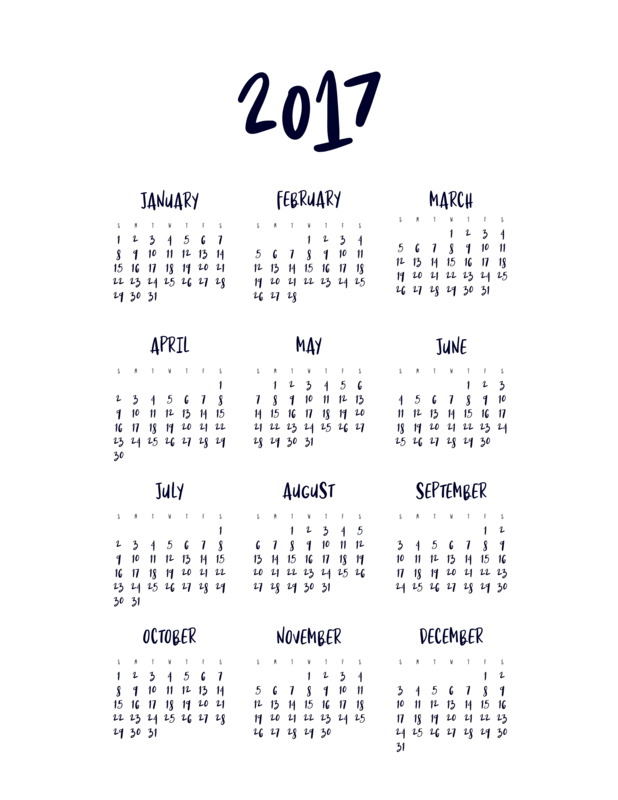 Need your printable 2017 calendar fix? Here you go! For this year’s calendar, I used a few of my newer fonts (Mix Sonata, Mix Skye, and Mix Narrow) to make these two printables. Click on either image below one to save the high-res version. The 2018 Calendar is available for download now! Thank you! Could you make a 2018 version, too? You wouldn’t happen to have a 2015 version, would you? I am using these in my baby journal and we started trying in 2015! These are the single most gorgeous calendars I have found, So having a matching one for 2015 would be amazing! I absolutely love this calendar!! 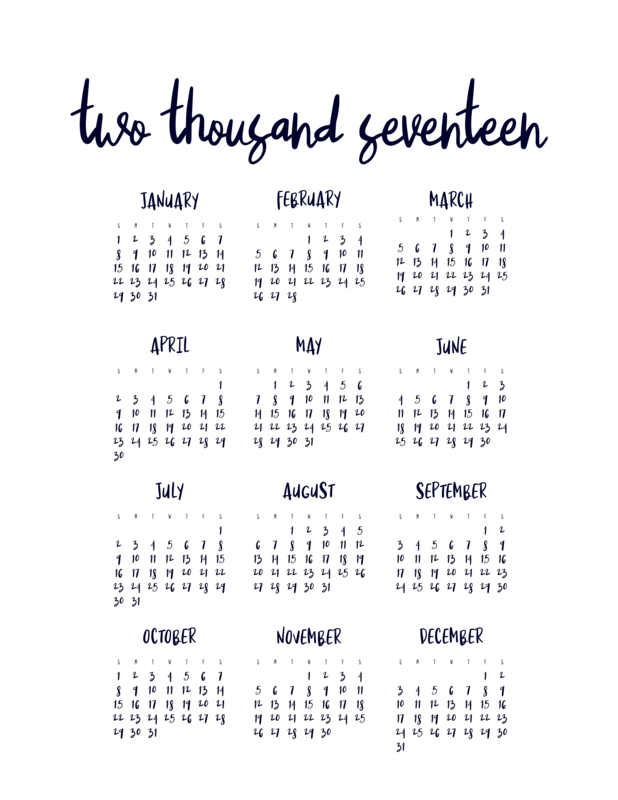 I was hoping you might have a 2018 and 2019 one just like this, I’m making my bridesmaids for my wedding calendars and this would be perfect. Your calender looks incredible. I love how minimal and simple it looks, makes it easy to fit the house decor. Thank you for sharing!